Keep your hands, feet & objects to yourself. No teasing or play fighting! Allow Mr. Stamatopoulos to teach and always try your best! Remain in your seats until everyone is finished lunch. Respect your lunch. Clean up after yourselves, don't waste food, don't play with food. Use an indoor voice. No yelling. 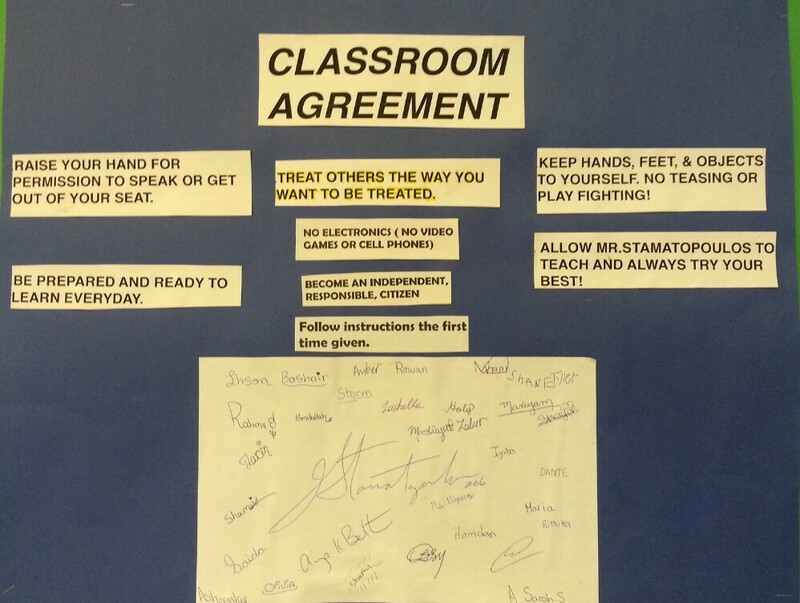 Our safe circle is a place where every student is valued and shown respect. Be cool and treat others how you want to be treated.